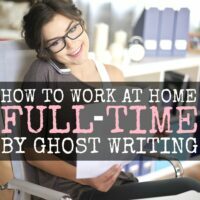 This is a guest post from Alicia Hunter of Turquoise & Grace. I first started teaching piano in high school. I was already busy with after school activities and honors classes, but I was looking for a simple, realistic way to earn shopping money. Teaching piano seemed like a natural choice since I’d been playing from childhood. Bonus that I could do it out of my home! 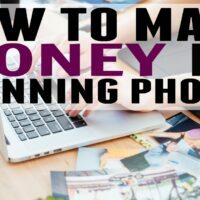 Making money from home was not necessarily important to me as a teenager so much as a convenience, but now as a mostly stay-at-home mom of three boys, it definitely is! While I didn’t teach piano for long, it was a great, easy way to make some extra spending money without being super time consuming. And the best part is I can start teaching again at any time. 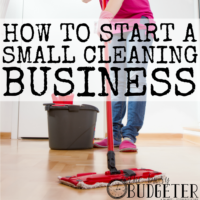 You might be surprised at how little you actually need to get started. First things first, you obviously need to know how to play the piano. (Or any other instrument, if you’re planning on teaching a different instrument). I had been taking piano lessons since I was 8 years old, so I had the experience necessary to teach. If you start teaching young kids (5-8 years old), you don’t need as much experience. Yes, you need to understand the basics of playing. And, yes, you need to know how to read music. But you don’t need to be a concert pianist to teach beginning piano. You also need a piano. I don’t recommend using a keyboard, as it’s not the same as learning on a piano. There is some skill that needs to be developed from the get-go by practicing on actual piano keys that a keyboard does not allow, such as gaining strength in your fingers, and getting the feel of the piano keys, which is different from a keyboard. You will also need beginning piano books. You can find them almost anywhere, but here is a good place to get started. The key is to find a good series that you like, that works well with young kids, and start from the beginning. As the child advances, you can work your way through the series of books. I also recommend this practice book. They help the child keep track of their practice time, and it’s also a great tool for you as the teacher to assign pages to practice each week, and from which books. I also used some of these cute practice stickers to motivate the child to continue practicing. I liked to have a fun goal involved with the stickers – for instance, if they earned 5 “great” stickers, they’d get to pick out a candy bar. If they earned 7 “good” stickers, they’d get to pick out a candy bar. Etc. This will vary depending on the age and temperament of the child. For anyone under 10, I would definitely recommend starting at 30-minute lessons, once a week. Once you get the hang of that length of time, you can gradually adjust the time as needed. 45 minutes seems to be the “sweet spot” for lessons for kids over 10. It’s the perfect amount of time to fit in solid instruction and playing time without losing their interest. I always charged the parents for the books, but as far as what to charge for lessons will depend on your experience with playing piano and your location. Since I was a teenager at the time and currently taking piano lessons myself, I thought it fair to start out charging half of what my piano teacher charged me. However, if you are an experienced pianist, by all means charge what you believe you are worth! Parents don’t seem to have any problem paying well for quality piano lessons. Research your area by Googling “piano lessons in (your location)”, to find out what others are charging and to give you a solid starting point. You can’t make money teaching piano if you don’t have students! So the last thing you need to do before you get started is to let others know and begin to gather students. Nowadays, it’s fairly easy to market yourself on a variety of platforms. However, back when I first began teaching piano, social media wasn’t in existence. I printed out a simple flyer with tear away tabs advertising the lessons and left them in a variety of places such as dance studios, libraries, and even some stores, which had community bulletin boards. Take advantage of all the free advertising available in this day and age. Post something on Facebook, or any other social media you have a following. Word of mouth will be the best way to spread the word about the lessons you’re offering. 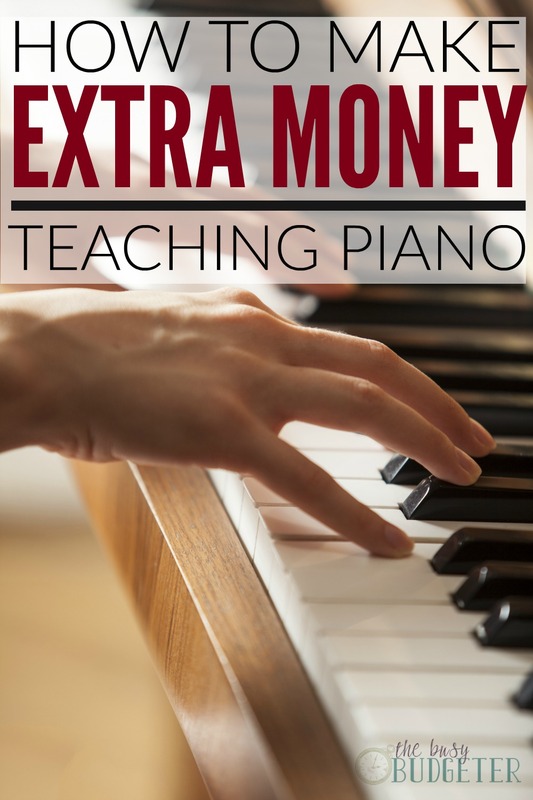 Teaching piano from home is a fun, useful way to make a little extra cash. Not only is it rewarding to see your students gain knowledge and skills, but it’s also a lot of fun! Being a piano teacher can fit any lifestyle, from high school to college students, to even the stay at home moms. 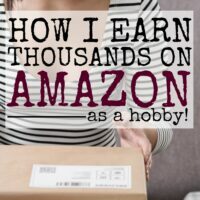 Hopefully, this will give you a starting point of what it takes to make money from teaching piano (or any other instrument!) from home. What Instrument would you be able to teach from home? 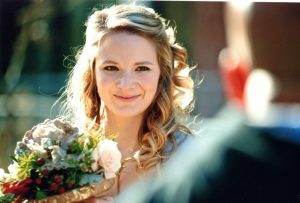 Alicia is a Jesus follower, wife, and boymom of three busy little guys. She writes about all things faith, contentment, and motherhood over at Turquoise Grace, where she offers up a little dose of grace for the mommed-out soul. I have taught piano lessons before to make some extra money, too! It really is a great way to earn some additional money. One thing that I would add: it can be helpful to make a short contract for parents to sign. The contract can spell out your price, the policies for cancellations (do they pay you if they cancel? if they are sick? etc. ), whether you are paid monthly or weekly, etc. In addition to getting all parties on the same page, it also boosts your credibility as a teacher who takes the business seriously. People say teaching piano is a very difficult job. For me I think teaching comes more natural to me than playing piano or music for that matter. I’m in the beginning stages of all this. I began teaching after taking only one class. I had much to learn, but I learned a lot from teaching. Samuel T. Cummins recently posted…How To Use A Distortion Pedal Without Any Affliction?